As mentioned in the previous blog post, fiber drums have many advantages; one of them being available in many different imaginable sizes and styles. 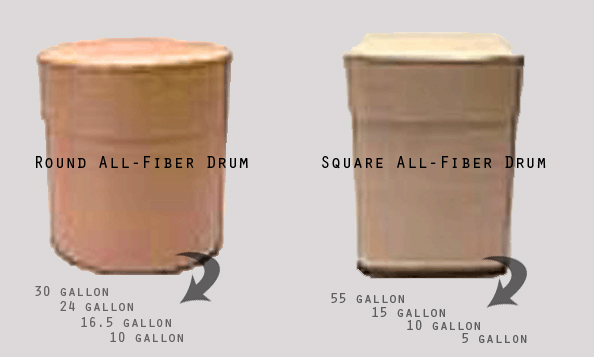 Standard drums normally come in round shape, but All-Fiber drums could appear in squares as well! For certain products, this could be a space-saving solution for square packaging. The tops and the bottoms of these UN-rated fiber drums are designed flat, for the convenience of uniform stacking. Check out the available sizes here as described in the picture below.